Douglas Clayton, chief executive officer of private equity fund manager Leopard Capital, is launching his second fund focused on Cambodia (with partial exposure to neighboring Laos). His firm is dedicated to investments in the so-called 'frontier markets' and he is also planning new fund ventures in Bangladesh and Sri Lanka. Based in Phnom Penh, Cambodia, Mr. Clayton's company website is www.leopardasia.com. He has lived in Cambodia since 2007. IB Times speaks to Clayton about the challenges of investing in countries with limited economic development. IBT: Are you focusing on the 'frontier markets' (like Cambodia and Bangladesh) because many of the 'emerging markets' have matured too much? CLAYTON: As value investors we like to invest in countries that have a craving thirst for capital and are receiving only a tiny trickle of supply. This leads us to post-conflict and pre-emerging markets like Cambodia, Laos and Sri Lanka that are quietly improving their fundamentals but haven't learned how to capture investor attention. China and India used to be like that but now [too many] foreigners are competing for deals there. IBT: Who are your primary investors? Are they Americans and other Westerners? Institutions or wealthy individuals? CLAYTON: Most of our investors are well-traveled individuals from Europe and the U.S. who have adopted the contrarian investment style of our advisors Marc Faber* and Jim Rogers**. Many are professional fund managers who have invested their personal money into our fund. IBT: Do you face skepticism from the investment community about the viability of investing in countries like Cambodia (which the rest of the world knows little or nothing about)? CLAYTON: We take the view that if it isn't hard to interest people in your investment theme then you are entering too late in the cycle. When our target countries start to become popular you will see us quietly selling out and moving on. IBT: What about China? Are they making moves into Southeast Asia by setting up factories (cheap labor, etc.) or mining for natural resources, etc? Or have they stayed away? CLAYTON: China is spending tens of billions of dollars building massive infrastructure projects across Asia's developing countries, both to extract natural resources and to open new markets for Chinese goods. The West is sitting on its hands and totally missing out on the world's easiest opportunities for wealth-creation. As investors in this region we are grateful for China's strategic vision which opens up all kinds of opportunities for us. Cambodia is one of the most open economies in Asia, as it allows 100% foreign ownership in almost everything except land. Foreign companies run the airports and dominate all the capital-intensive sectors like telecoms, banking, and manufacturing. IBT: Do Cambodia/Laos have stock exchanges? What are the major industries there? CLAYTON: They are both developing stock exchanges and aim to open them within the next year. The major industries are currently agriculture, tourism, and garment manufacturing, but interest is rising in mining and hydro-power. IBT: Are there other countries you seek to make investments in? CLAYTON: We focus on the region east of India, covering Sri Lanka, Bangladesh, Myanmar [formerly Burma], Thailand, Laos, Cambodia and Vietnam. We call these the 'Virgin Markets' since most private equity investors have no exposure to this region. Leopard Capital is setting up local investment teams in each country and preparing a range of access funds. In fact, we plan to launch a $50 million successor fund for Cambodia and Laos once this fund is fully invested. We are also preparing a $60-million fund for Sri Lanka. IBT: Are you seeing any interest in Frontier Market investing in Wall Street? Or have they ignored it? CLAYTON: Wall Street focuses on financial engineering plays and leverage which our region isn't ready for. 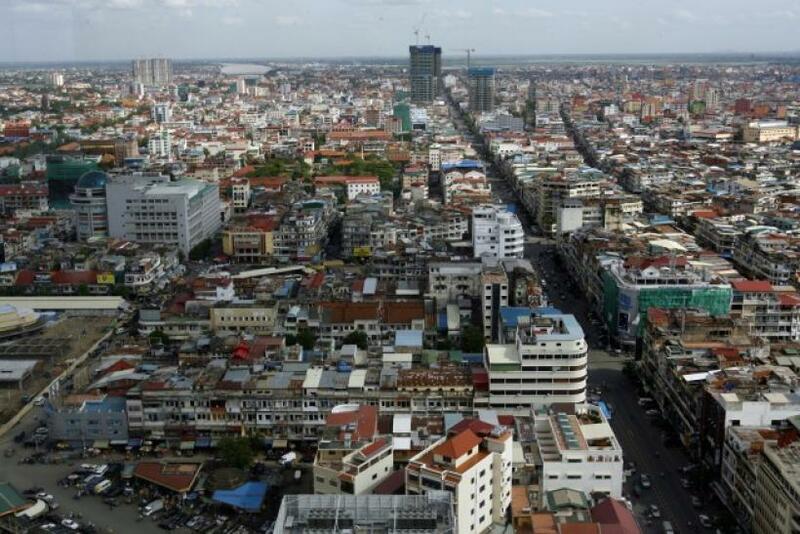 We are in the business of building future blue-chips in basic industries, the sort of thing people did a century ago in the U.S.
IBT: What is the greatest advantage to investing in brand new places like Cambodia? CLAYTON: We can look back at what industries thrived a few decades ago in more advanced Southeast Asian countries, and introduce them in Cambodia. Since the basic development sequence is familiar now, you can get go back in time now and do in Cambodia what you should have done in those countries then. At the same time, you can sidestep the big investment mistakes people made in those other countries. IBT: What are some of the biggest problems you have in doing business in Cambodia? CLAYTON: Transportation, electricity, and Internet costs are still too high, but will fall over the next few years as key infrastructure projects finish up. Other expensive things like phone charges, lending rates, and property prices have already decreased considerably since we launched our fund. As Cambodia normalizes its cost structure, its risk premium will disappear. IBT: Does the government in Cambodia pose any problems from businesses, or are they supportive? CLAYTON: They are very supportive and accessible, but not always efficient. Still, we got a brewing license and tax incentive package in just 28 days, which is almost unheard of in Asia. IBT: What are some of the companies you have invested in? CamGSM, Cambodia's largest mobile phone operation. *Investment analyst and entrepreneur; runs Marc Faber Ltd., value-based investment advisor. **Well-known American investor and financial commentator.